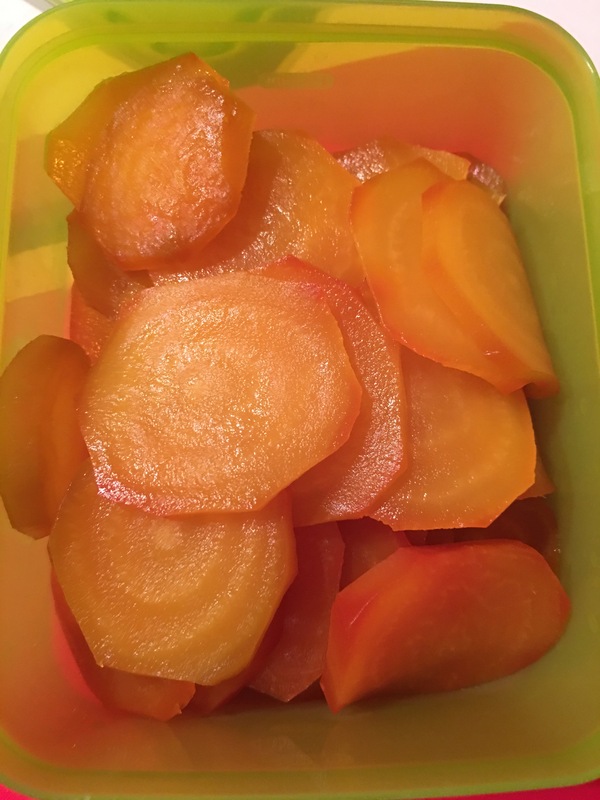 Let’s talk beets! – Hurried Home Chef! 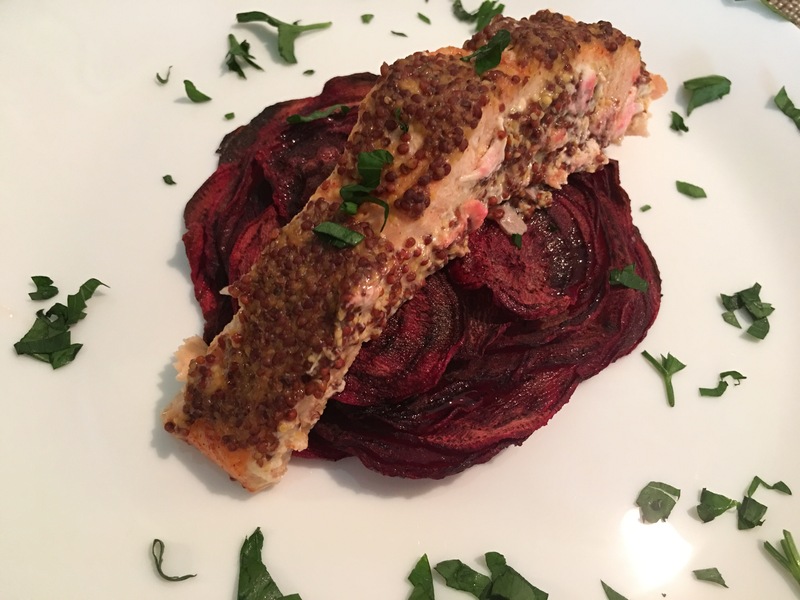 I’m a big beet fan, raw in juices, roasted with other root veg, spiralized and steamed, in salads with blue cheese, and many other combos. Here I boiled them unpeeled then after cooled, layered with a garlic goat cheese then cut to look pretty! 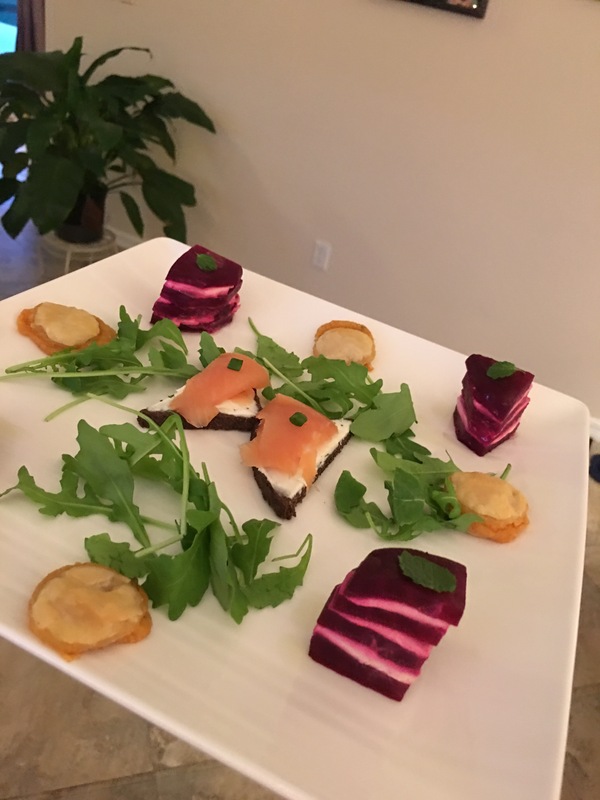 This was a raw beet that I sliced with a mandolin and then baked in a tarte-like fashion at 400 for about 30 minutes then placed the baked salmon on top. It was crispy like a potato au gratin but sweet. 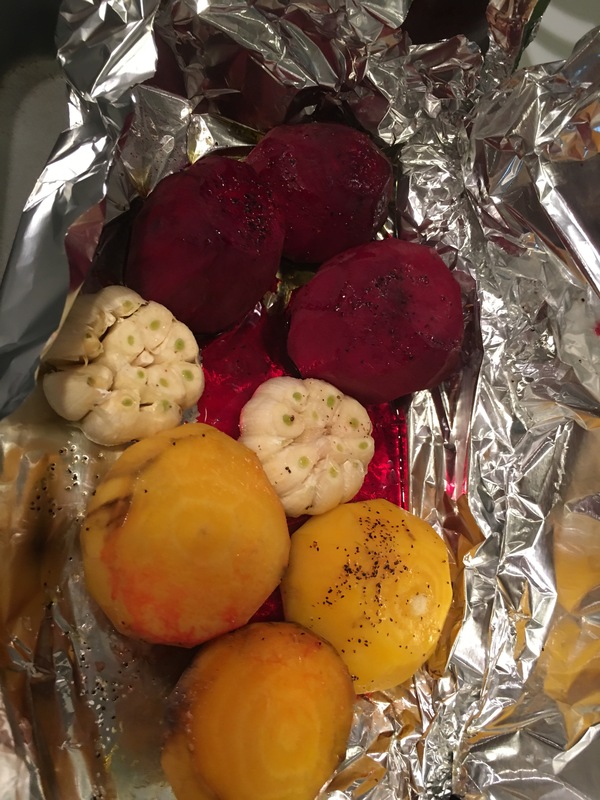 These were yellow and red beets plus the whole garlic bulb that I roasted in foil with just a little water. Everything turned red but still tasted good. These I boiled then cut. They kept well and were much milder with less of an earthy flavor. I used them for salads and actually just at them plain. 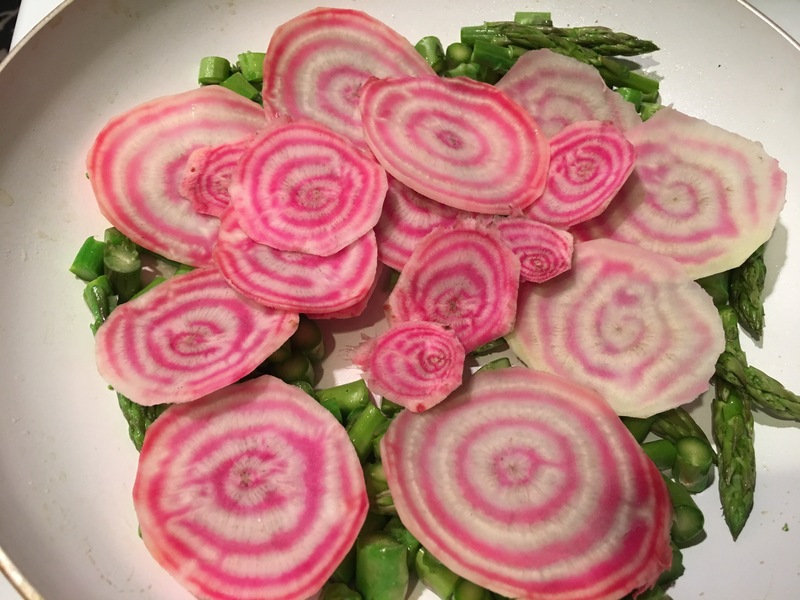 These are sugar beets and are gorgeous! They are hard to find and I stumbled on them at the farmers market. They are a brighter pink color on the outside. 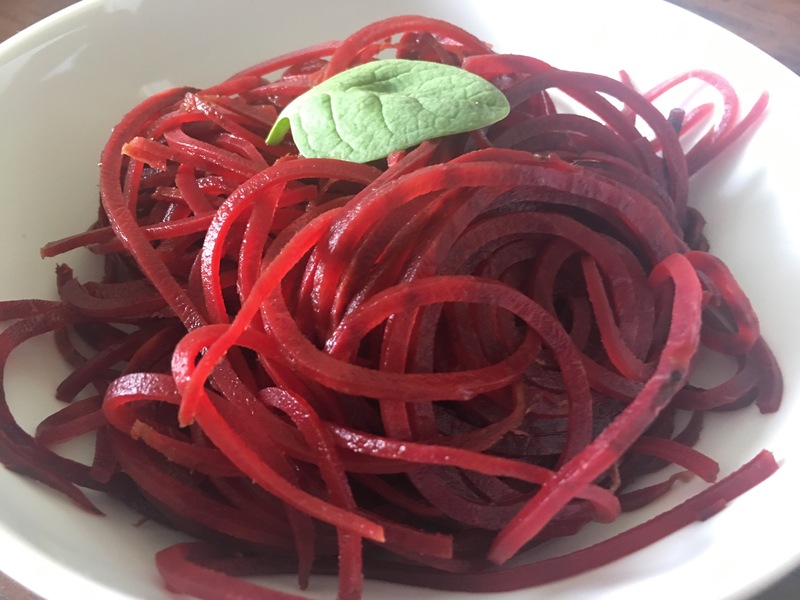 Spiralized beets make for a festive salad or side. I steamed these but you could eat them raw. Might be too rustic for most people though. Previous Post Quick weeknight meal, a few meatball dishes. Next Post Easy at home French fries!